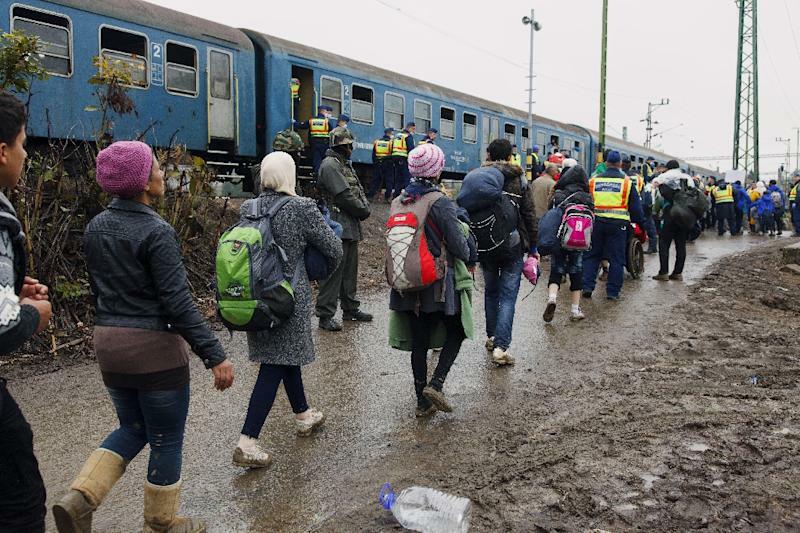 Ljubljana (AFP) - Slovenia on Friday suspended its rail links with Croatia ahead of the anticipated arrival of large numbers of migrants being rerouted towards the Alpine country after Hungary announced it would close its border with Croatia. "Given the exceptional circumstances, the passenger traffic between Croatia and Slovenia has been suspended," Slovenia's national rail company said on its website, adding it had taken the decision "in coordination with the authorities". Earlier Croatia announced that it would divert migrants to Slovenia after Hungary said it would close the border with its fellow EU member -- a major transit point for tens of thousands of refugees -- at midnight (2200 GMT). Slovenia's Interior Minister Vesna Gyorkos Znidar earlier said that her government was in talks with Croatia on agreeing "one or two" border crossings for migrant arrivals. Foreign Minister Karl Erjavec also suggested that Slovenia could cope if the influx of migrants into the region continued at similar rate. "If the flow continues at the current pace, we will be capable of managing it. If this system breaks down, we don't know what could happen," he told reporters. In mid-September, Hungary closed its border with non-EU neighbour Serbia, until then the main entry point into the EU for migrants fleeing conflict and poverty in the Middle East, Asia and Africa. Since then some 185,000 migrants have transited through Croatia, from where the vast majority continued on to Hungary by bus and train.